Specialize Heating & Air Conditioning, Inc.
Magnolia Heating & Cooling, Inc.
C. L. Robert Plumbing Heating & Air, Inc. Comment: I purchased a Nest thermostat and I am looking to get it installed today. Comment: Replace two AC and furnace systems - upstairs and downstairs. 2 1/2 ton and 4 ton, 14 SEER. Repair or replace any necessary ducting. Comment: Already have the new thermostat to install on a day & night model 394j. It's a flouren smart thermostat and the old thermostat mechanical Mercury thermostat has already been removed. Comment: To close in escrow, heaters must be installed into all three units of a single-family home that has been converted into a triplex. I'm looking to get this task done as quickly, and affordably as possible, as we're up against the end of escrow. Moore's Heating and Air Conditioning, Inc.
Riverside Heating & Furnace Contractors are rated 4.78 out of 5 based on 1,919 reviews of 53 pros. 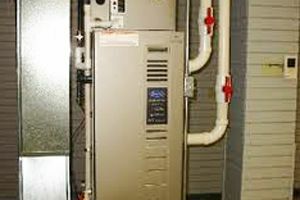 Not Looking for Heating & Furnace Systems Contractors in Riverside, CA?